Increasingly any business change is tied to new systems implementation or an upgrade. So it naturally was left to the IT department; “it’s software, right” But to exploit technology, an organization needs strong business analysis skills. As companies implement multiple cloud based apps enable faster and more significant change, the new breed of business analyst must have a broader combination of skills: business, analysis and problem solving, technology implementation & project management. Those with the right blend of skills are in short supply. Those with these skills can command higher salaries or consulting day rates. Many of you already have strong analytical and problem solving skills and have a good business understanding of your industry. You have tough calls to make every day as you juggle conflicting priorities. Change requests fly at you from all sides and at different levels: from adding an item to a field picklist all the way up to planning an upgrade or implementing a whole new slew of functionality. And then the VP Sales “drops by” your desk with a suggestion that “should take only a few minutes to implement”. 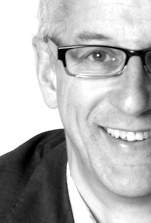 How do you measure the impact in terms of ROI, but also in changes to your Org? And finally, how do you prioritize? Whilst it can be frustrating, it is also extremely rewarding. The challenge is making sense of the raft of changes that flood your desk and inbox. How do we design and run customer-centric business processes? How do we support and automate these? What customization is required?O Where are the priorities? How do we define and measure the benefits? What are people change implications? 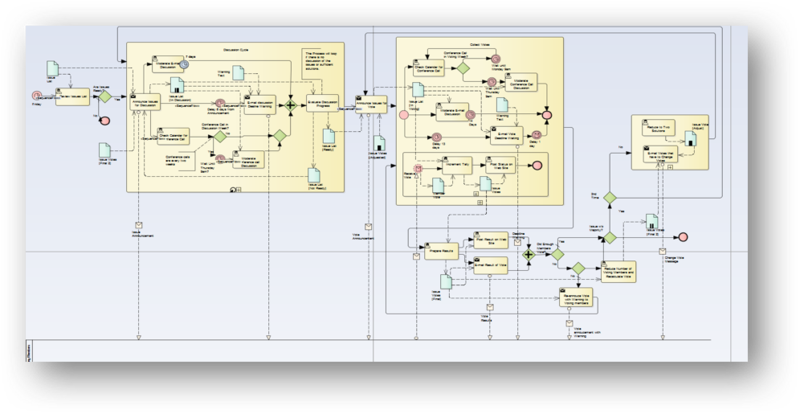 The best way to capture operational processes is in a business process map – which we will describe in detail in a moment. If you use the kind of simple notation and approach outlined in this article, the process map can then serve as the single source of truth for the project as you go through the different phases; analysis, build and test, deployment and go-live. It needs to appeal to a wide audience; business uses, IT configuration, compliance, executive management. But the process map also lives beyond the project as it is the documentation for the implementation for continuous improvement. This is NOT what we mean. Below is BPMN diagram which is really aimed at IT people. If this gives you map shock and you don’t even want to try to understand it, that is ok. It is a normal reaction. This is what we mean. Below is the sort of process diagram that you want to see. What is important is that it is a simple flow from left to right and shows only 8-10 process steps. Anyone could look at this, read it and make sense of it. A process map is a hierarchy of process diagrams. Here is the breakdown of diagrams from the Top Level diagram, down to Level 2 and Level 3..n diagrams. There are many good diagramming tools; PowerPoint, Visio, Gliffy, Lucidchart. However these are designed to draw single level diagrams. They cannot manage a complex hierarchy of diagrams. If you use them you need to manage the interrelationships between diagrams independently. Alternatively Business Process Analysis (BPA) tools are architected to manage a hierarchy of diagrams securely. What makes a good process map? Here are the attributes of the process map that you should be building. It looks like a long, daunting list. But trust us: it is surprisingly simple and quick, and there are proven examples and pre-built process maps called “accelerators”. Provides visibility and clarity of roles. You can generate a report on all the process steps for a given role or system. The basis for the continuous improvement based on end user feedback and changes to corporate priorities. They build consensus in the group and rapidly allow teams to identify improvement ideas. Some of these ideas are quick wins that don’t even need system changes. You are developing the process content in the workshop, so there’s no need to try and interpret notes or photos of whiteboards when you get back to your desk to build the process diagrams. It is easier to get agreement and sign-off when the participants see it being developed and they have had input as it is being created. 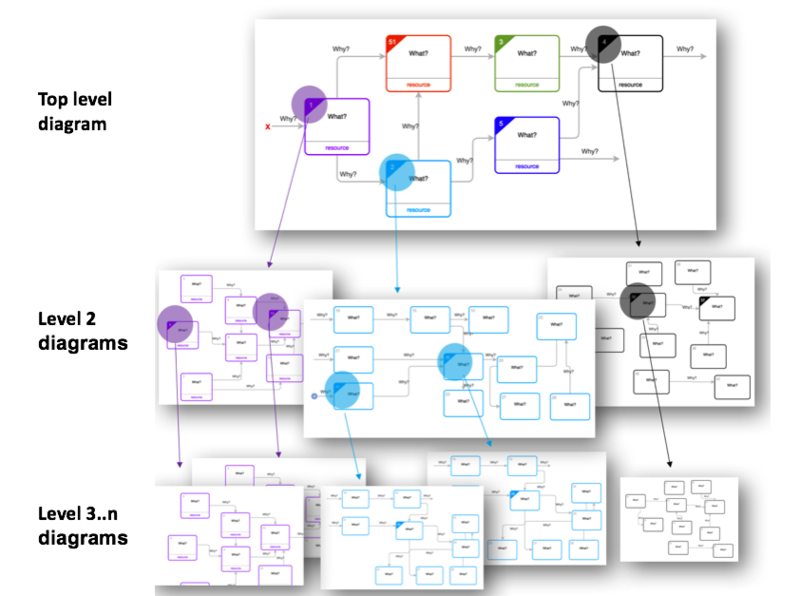 Mapping processes live generates new and better ideas. Don’t underestimate how much time this saves. It will take far less time than you think to become proficient at running live mapping workshops. To start with, you may feel more comfortable with 2 facilitators; one to “work the room” and one to do the mapping. After the workshop you need to keep the audience engaged and build momentum. Invite all the attendees to view the map that was created in the workshop. Inevitably, there will be further discussion and more thoughts. This is great. You can also invite and engage those who weren't at the workshop. It’s vital that feedback is collected in the context of the diagrams, not in off-line discussions in email or chat groups. Once the process flows are clear, you have the opportunity to link to the supporting documentation (systems screens, customization specs, training materials, videos, procedures...) This may start in the workshops, but will continue afterwards. 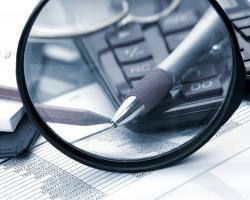 Often you will identify the need for new supporting documents. Or you’ll discover 5, 10 or 20 versions of the”same” document. Which one is the master? Often there is just one huge procedure document - the old Quality Manual or Company Handbook – that is used in multiple places that can be simplified and split up. Again, think about how your audience will consume it. How many levels should we go down? Mapping processes may seem a daunting task when you are starting. But it actually happens more quickly than you expect. That first top-level workshop could be simple and created in an hour, or could provoke a ½ day discussion. It really depends on how aligned the senior team is around the top level end-to-end processes. Mapping is not the issue, but it is the time taken to get everyone on the same page. As you drill down the scope gets narrower and narrower. So the lowest level diagrams could simply be knocked out in one sitting at a desk or on a conference call. Some areas of the map may go down 2 or 3 levels, others as many as 4 or 5. It all depends on the complexity of a business area, the level of skills of those delivering the processes, the risk of the process, and how much detail needs to be specified for regulatory reasons. For example, if you are an enterprise software company, the process “Deliver Proposal” probably needs to get into some level of detail. Don’t make the mistake of thinking that it is straightforward, and since it’s highly paid sales guys doing it so you don’t need to provide much detail. Mapping the detailed Deliver Proposal process is important. The proposal commits the company, so there should be rigor around discounting, approvals, and sign-off. There may be opportunities to exploit the marketing and sales automation in the platform. Or you could identify where junior staff can support the sales team, making them way more efficient and effective. No one person will sign off the entire process map. The project sponsor will sign-off the top level. But they will delegate the lower level diagram sign-offs to the process owner of that area.Process ownership is the concept of allocating the responsibility for driving business improvement of that process. A process owner may not own all the staff who deliver that process, as a process may cross organizational boundaries. 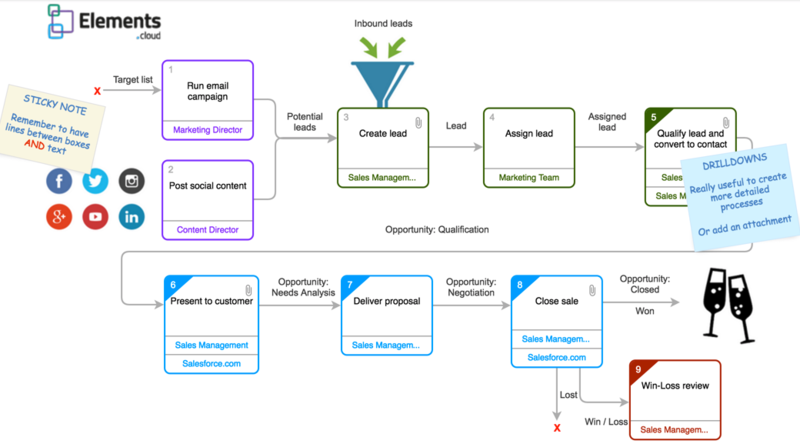 Rather than make the SVP Sales responsible for the entire hierarchy of sales process diagrams, ownership is delegated as the diagrams get down into more detail. The top level “Sales Process” will be owned by SVP Sales. There are 6 diagrams at Level 2. They may be owned by different people; “Qualify lead” is owned by Head of Sales Ops, “Deliver proposal” and “Close sale” are owned by Head of North America Sales. And so on down the hierarchy – Level 3..n.Don’t worry if this seems like an alien concept. It will become more obvious as you start mapping, building a hierarchy of process diagrams, and you starting thinking about who you want to sign off individual diagrams. As Winston Churchill said, “However beautiful the strategy, you should occasionally look at the results.” You will inevitably need some minor course corrections as you optimize the processes, the Salesforce customization, and the training. You need solid metrics so that you can quickly see the impact of your changes on adoption. A classic Dilbert cartoon summarizes it best. The first 3 items are essentially are scope control. Not getting control of scope at the beginning or losing control of it during the project is THE killer. The greatest risk is actually at the start of any project, but you don’t feel the impact of poor scope control until it explodes on you later in the project. Failure to clearly define the scope of the implementation is likely to result in you becoming one of those unfortunate statistics in the survey. The best and easiest way to define the scope is in terms of the end-to-end business process diagram. In that way all the stakeholders start with a common agreement on scope and objectives. The skills required and expectations on business analyst are at an all-time high. Companies depend on well implemented systems to drive efficiency and competitive advantage. Whilst it may seem daunting, using freely available cloud-based Business Analysis tools, the the simple mapping approach we’ve set out here, it is very achievable. In fact, you will be staggered by the results you can get it is a short timeframe (hours & days, not weeks & months).